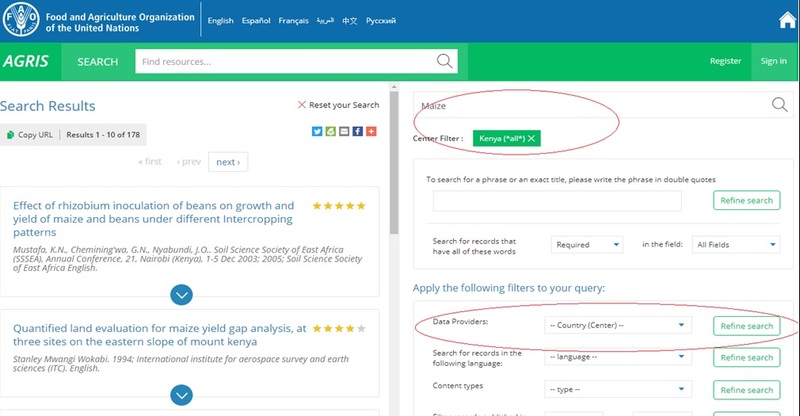 Searching an information database such as AGRIS requires also an awareness of some of the features of the service. In the first part of this series, “AGRIS Advanced Search Possibilities” we focused on how users can create effective search strategies using the a combination of syntaxes borrowed from the Boolean logic. 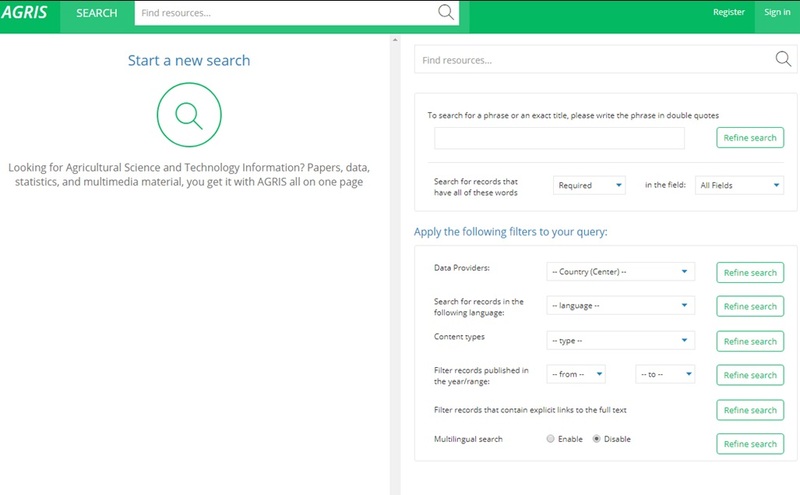 In this part will build on the second option – that of using the AGRIS search filter options available on the AGRIS advanced search page. The procedure is fairly simple. 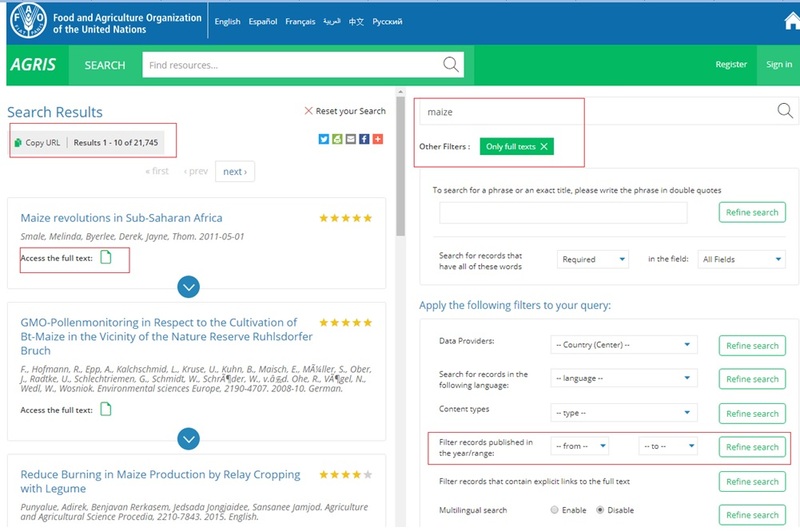 In the advanced window shown in Fig 1, type in your keywords or search statement, for example l used ‘Maize”, then l am interested in All records from Kenya. In this case l should choose under Data Providers - Kenya*all*, then l click Refine Search the l get 178 records from Kenya. This is similar in the case of 3-5 filters mentioned above (limiting search results by language, limiting search results by content type, and filtering records by date of publication). For example l searched Zea mays (scientific name for “Maize”) and then limited this under language for records available in Spanish. One of the common demands of AGRIS users is to request full-text access to AGRIS records. The steps to access full text follow the same outline as the previous filter. In this case the user should press the “Filter records that contain explicit links to the full text”. More information here. In conclusion, why not try to play around these limit functions and see how AGRIS can open new avenues to interact with AGRIS records ? Submitted on 26 Nov 2017 by AGRIS Team .